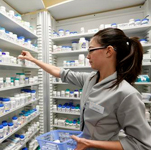 Why is access to patient lab values being provided to community pharmacists? The Department of Health and Wellness is providing this access in support of the Nova Scotia College of Pharmacists’ Standards of Practice: Testing. Is there a cost to pharmacies or pharmacists for this access? No, there is no cost. Are there technical requirements for this access? In order to access SHARE, pharmacies will be required to download and install a software product called VMware Horizon provided by the Department of Health and Wellness at no cost. The technical requirements to support VMware Horizon are outlined in the SHARE Access for Lab Values – Community Pharmacy Toolkit supporting document Client Connectivity Requirements (VMware Horizon). Will pharmacies be required to sign an agreement with the Department of Health and Wellness for this access? Yes, pharmacies will be required to sign the SHARE Access Agreement for Private Healthcare Organizations which outlines the responsibilities of both parties. This agreement will be provided to pharmacies. Is there training required for pharmacists? Yes, pharmacists are required to complete two online training modules (Privacy Zone, Fast Track) prior to receiving their SHARE User ID; completion of these modules is monitored by the Department of Health and Wellness. The online location of the training modules will be provided; completion time for the two modules is approximately 30 minutes. Must my pharmacy be connected to the Drug Information System to get access to patient lab values? Yes, access to patient lab values will be available only to pharmacists working in pharmacies connected to the Drug Information Sytem. Are all of a patient’s lab values in SHARE? The lab values available in SHARE are dependent upon where the specimen was collected (private collection centre or hospital collection centre) and which hospital lab processed the specimen. Detailed information is provided to pharmacists as part of the required training. Yes, for questions or further information contact SHARE@novascotia.ca .